If you have any questions about the STATE OF GRACE information page below please contact us. Launched in 2013, the magnificent sailing yacht State of Grace, also known as hull C.2180, is the first 40 M Fast Cruising series sloop, constructed by the prestigious Italian builder, Perini Navi, at its Istanbul-Yildiz shipyard. 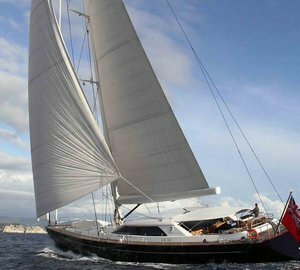 State of Grace superyacht is designed by the yard's in-house team, in partnership with well known Ron Holland Design. Superyacht State of Grace boasts classic interiors, enriched with touches of contemporary flare. She provides 4 lovely and comfortable cabins for up to 9 guests, including a full beam owner's suite with a gym. There is also a comfortable dining room as well as an ample living area. All-aluminium luxury yacht State of Grace (hull C.2180) is powered by twin CAT C18 500 Kw diesel engines that enable her to reach a speed of 12 knots at a maximum continuous rating. 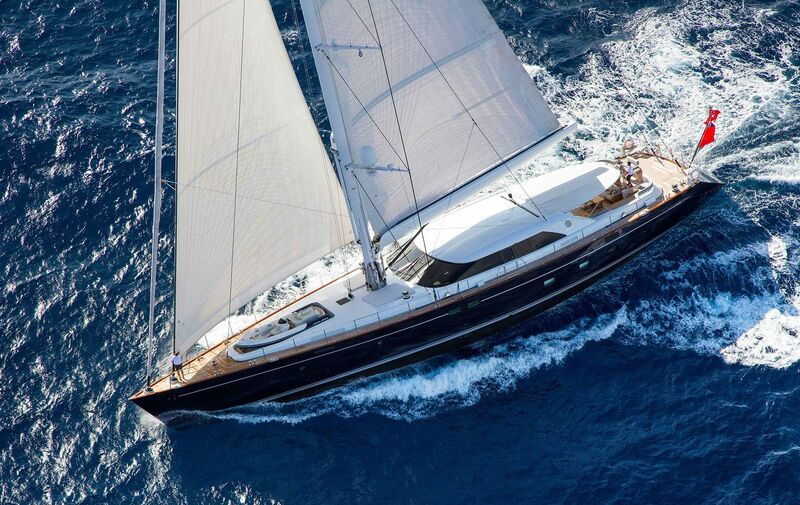 State of Grace has a beam of 9,4m (30'84'') and a maximum draught of 9m (29'53''). Accommodation aboard State of Grace superyacht is offered to up to 9 guests in 4 beautifully appointed cabins, comprising a full beam owner's suite with a gym. We do have available further amenity, owner and price information for the 39.40m (129'3'') yacht STATE OF GRACE, so please enquire for more information. The luxury yacht STATE OF GRACE displayed on this page is merely informational and she is not necessarily available for yacht charter or for sale, nor is she represented or marketed in anyway by CharterWorld. This web page and the superyacht information contained herein is not contractual. All yacht specifications and informations are displayed in good faith but CharterWorld does not warrant or assume any legal liability or responsibility for the current accuracy, completeness, validity, or usefulness of any superyacht information and/or images displayed. All boat information is subject to change without prior notice and may not be current.